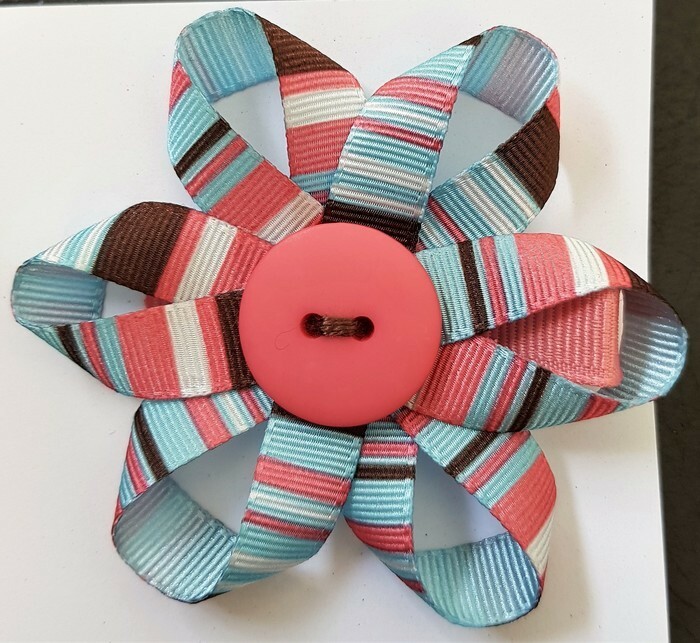 This a gorgeous ribbon flower hair clip made with a soft pink, blue, brown and white stripe colored grosgrain ribbon. 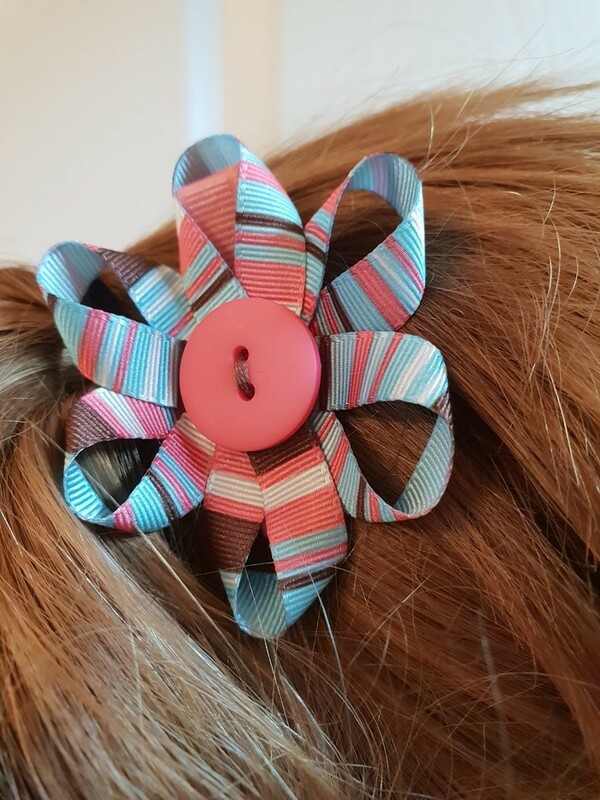 The pink decorative button in the middle finishes it off making it a cute hair accessory to any outfit. 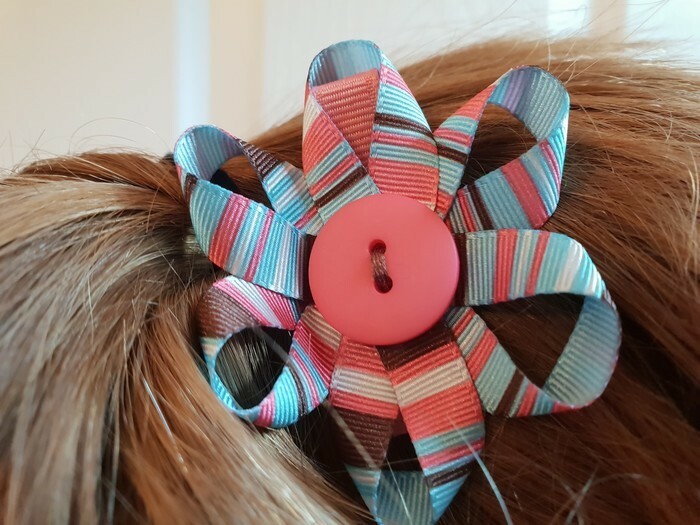 These are made on a pin curl clip which stays in the hair alot easier and doesnt catch or pull on the hair. The item for sale as shown in the picture.